Trinidad and Tobago this is the secret to our progress and success as a nation! Working for self interest and selfish ambition is not making us happy. Most citizens will say they are working so that their family can have a good life and that their children can be happy and successful. But we miss the mark if our definition of family and children is limited to immediate blood-relations. We MUST to expand our thinking of who we identify as “our children” and “our family”. 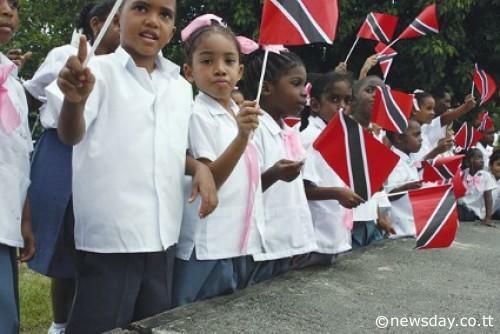 Trinidad and Tobago is our home, every citizen is your brethren, ALL the children of this nation are under our care. I must mention here that we have not been taking good care of ALL our children. Even with free early childhood care, laptops, free meals and transport to schools, we have achieved a failing grade because children are being abused and we do not intervene for their sake. People,child protection is everybody’s business including, family, friends and neighbours. Yes, income matters. Economic development is important, especially the escape from extreme poverty. Health matters as well, both physical and mental. No surprises there. But what is perhaps most important is our lives as “social animals,” to use Aristotle’s famous phrase. Life satisfaction depends on strong social support networks, on generosity and voluntarism, on “generalized trust” among strangers in the society, and on the trust in government. People living in places where government is corrupt suffer the pain of less satisfaction in their own lives. The basic point that well-being depends not only on wealth but also on the quality of our human relations is at once obvious (who could deny it?) but somehow absent from our politics and our daily discourse. The excerpt above was written in April 2015, our pledge written decades before pointed out the need for honesty and trust to build our nation. Corruption lowers our GDP and the chance of success for our children including those of treasury plunderers. This brings us back to the point of working for selfish interest and selfish ambition (your immediate family is just an extension of yourself). We have become increasingly self absorbed as a people. We need to retrace our steps to the days where we cared, not just for our immediate family, but also about the welfare of people we meet in the street, in the office, in the grocery store. The safety and success of the cashier’s children, the prisoner’s daughter and the coast guard’s autistic son is our business. If the CEO’s 22-year old son is abusing illegal drugs, we, as a nation, must care that drugs are making its way into the hands of young people. If talented students in Tobago need internships or brilliant children in Morne Diablo have nothing to do during the August holidays, we must care enough to do something. If “your children” are the only “successful” ones and others, the missing generation, are in poverty, your (biological) children can never be happy in a society with such large disparities. They will spend most of their time worrying about their safety-which is where we are now. 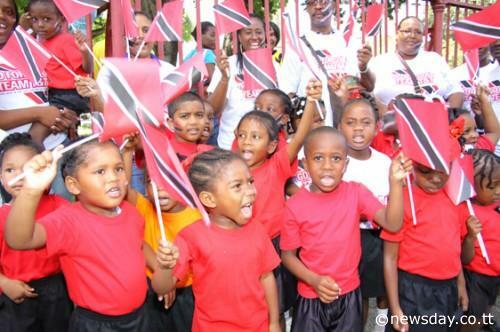 We will only be happy if we work together for the benefit of ALL the children of Trinidad and Tobago.